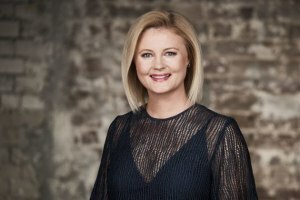 , 9Powered, has appointed current Nine Sydney sales boss Liana Dubois as the new division director, as current leader Lizzie Young takes on a larger executive role within Nine, AdNews can reveal. Young will now become managing director - commercial partnerships, with her role now focused on managing key partnerships across the group, including Domain and Stan, as Nine looks to drive growth across the newly combined assets across television, publishing and digital. 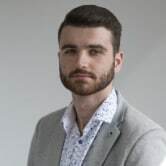 Young will also take on executive responsibility for marketing and retains oversight over content distribution strategy and execution. Dubois, who has headed up sales in Sydney over the past three years, will step into the role as the business looks to drive further integration across its existing assets, along with those it acquired during last year's Nine/Fairfax mega-merger. "Driving premium revenues across all parts of the business is an ongoing focus within the business and we are confident that Liana will be able to build on the work of Lizzie and her team in cementing Powered as the market leader in the client solutions space," Nine CEO Hugh Marks said in a letter to staff. Speaking to AdNews on her new role, Dubois said she would be focused on leading the 9Powered team to execute "even bigger ideas" more seamlessly across the new asset base. "Powered really acts as the glue for the new business in many ways. It can unite our assets but it also creates the multiplier effect when you think about how one idea can live seamlessly across every platform," Dubois said. According to Nine, Powered has already seen a lot of interest from the market in terms of briefs for "big ideas" that sit across its expanded asset base. Dubois said that while marketers are always looking to cut through clutter and stand their brand out above the rest, the ways in which you can fundamentally do so have significantly changed over time. Pointing to the recent collaboration between Uber Eats, Nine and Special Group developed for the Australian Open (AO), which showed multiple players and personalities receive Uber Eats orders during live gameplay, Dubois said this was an example of "greater collaboration" between client and partner, something Powered will look to emulate with its own campaigns in 2019. "Certainly, through our experiences with the AO, we have some fantastic learnings that we look to take forward into either the NRL or the cricket midyear or potentially the golf, netball or the NBL," she said. "We absolutely believe that collaboration is at the heart of genuinely bringing to life big ideas. That involves collaboration with creative and media agencies, retail shopper agencies, PR agencies, the brands themselves and not just necessarily the marketing fraternity from those brands but potentially the sales teams as well. "Everybody has something to contribute that will fundamentally add value to the idea and make sure that it seamlessly executes in every single possible way." Dubois will report to Nine chief sales officer Michael Stephenson, who late last year outlined the structure for the newly formed sales team. A new Sydney sales director will be announced shortly. Nine's strategy, insights and content creation team, 9Powered, has appointed current Nine Sydney sales boss Liana Dubois as the new division director, as current leader Lizzie Young takes on a larger executive role within Nine, AdNews can reveal.